 In March 2010 Archbishop Michael Neary decided to establish a Diocesan Pastoral Council. The Council is made up of 20 members from around the diocese and its main function is to assist and support the Archbishop in the provision of pastoral care throughout the diocese. A Diocesan Pastoral Council seeks to do at diocesan level what a Parish Pastoral Council seeks to do at Parish level. We meet on a monthly basis and, over the past several months, we have been making plans for a listening process across the diocese. We believe such a process can play an important part in the renewal of the Church throughout our diocese. In the lead up to the diocesan assembly in 2006 there was extensive consultation with people throughout the diocese. Many of the recommendations of the Diocesan Assembly are in the process of being implemented. Many developments have taken place since the Assembly and hence the wish of the Diocesan Pastoral Council to have this listening process. Recent years have been difficult for the Church. The Church will always be in need of renewal and each of us has a role to play in this process. Some people feel lost and betrayed. Others have had their faith badly shaken. But there are many others who will never walk away, despite some having varying degrees of dissatisfaction with the Church. To all of the above we want to provide a forum for their voices to be heard and, with this in mind, we have arranged listening sessions for a number of different venues in the diocese. Dates and venues for these meetings are enclosed with this letter. Each venue has been chosen to facilitate a number of ‘local’ parishes. The meetings will be primarily a platform to allow people to express their views on all matters of concern to them relating to Church. Our hope is that all who attend will feel free to talk openly and without fear about their concerns and hopes. We hope, too, that we can look forward to your active support for our listening process given that the goals, concerns and challenges of the Diocesan Pastoral Council and of Parish Pastoral Councils are rooted in good pastoral planning for the future. We believe the whole listening exercise is one that is well worth having and one that can make a positive contribution to church renewal and the affirmation of the faith of the people of God in our diocese. April 11th An Cheathrú Rua, Carna, An Cnoc-Indreabhán, Arainn Acadamh na hOllscolaí.